How many important movies are out there to be seen? How many have we not seen due to lack of action scenes, but are relevant and educational enough to spare time for it? You see, the best thing about watching movies is when we become more educated, we learn about interesting and fascinating people we knew nothing about. We come to know why history got changed, or why those who had no rights now have one. 55 Steps is a fact-based drama about a mentally ill woman fighting the powerful psychiatric establishment to have the right not to refuse taking medication, but rather taking the right one that will allow her and many others to get better. The movie starts with Eleanor (Helene Bonham Carter) who is forced by multiple nurses of psychiatric clinic in San Francisco to the room where she was forced to take medication through the needle. The idea is not that she did not want to take one, but its side effects that damages her cells in brain makes her even worse than she was. All these side effects had a negative impact which would not allow her to function in any way and make her even more dependent on medication that’s meant to control her more than curing her. That moment was a turning point for her when she decides to hire a lawyer, Colette Hughes (Hilary Swank) who later on becomes her best friend. So many nuances and shocking facts provided in 55 Steps was eye opening, but nothing new for those who already knew nobody in the right mind can trust doctors or the medications they prescribe. Eleanor’s issue was the only one to allow the doctors to start communicating with their patients rather than having them in control through the medicine that was hurting their health. Despite having a weak health condition, Eleanor takes important steps, a whole fifty five all the way to the court room that will change the history of patients who wanted to know more about medicine they take before allowing it to get into their stomach. 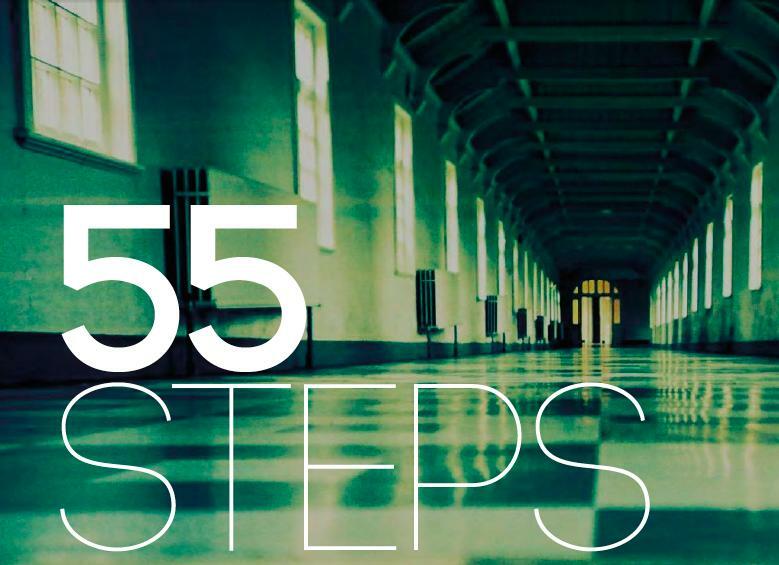 55 Steps directed by Billie August medicine a powerful drama about the significance of having a consent form in mental health clinics. This movie is about the fight of one woman on behalf of hundreds of thousands of people who had no chance to speak up or defend their simple human rights. Through the powerful performance delivered by equally great Helena Bonham Carter and Hilary Swank, 55 Steps is an excellent tribute to those who fought relentlessly and tirelessly against the big corporation. I guess, to have the number of patients controlled in order to get a steady income one would assume. But whatever it is, due to people like Eleanor the good will always prevail over bad, and minority people will have a chance to be heard, and the story told in 55 Steps is proof of that.